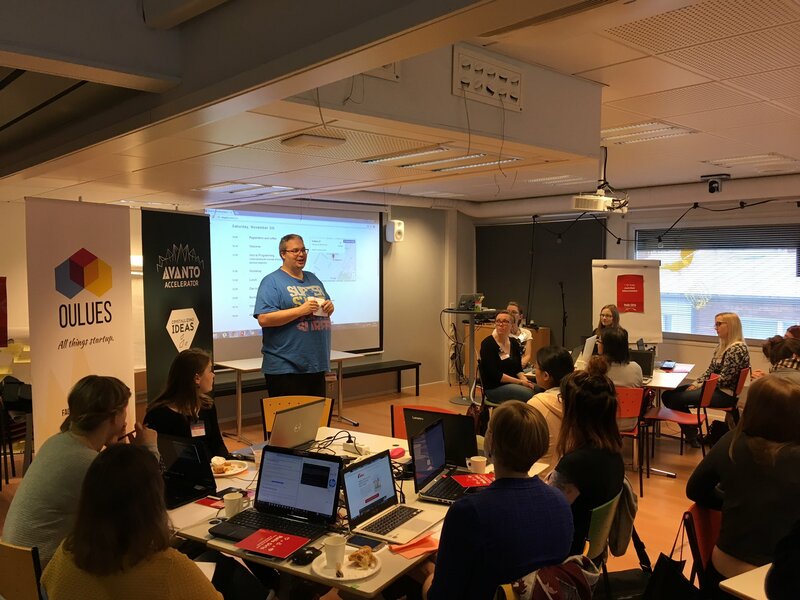 Today Rails Girls happened again in Oulu – I got to join as a coach and helped a group of 30 women from all sorts of backgrounds to learn programming. 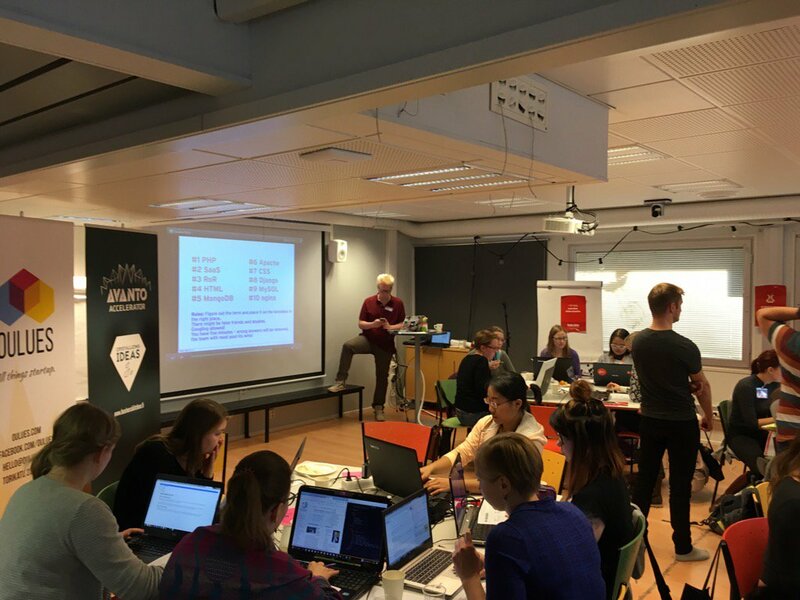 Rails Girls workshops follow a tried and true format, with the necessary “install” steps held on friday evening and a full day workshop to create a Rails site/app on saturday. Jason introducing everyone to the basic concepts of programming. I got involved because I believe strongly in the necessity of those events. Diversity in tech matters. Outreach programs are an excellent way to incubate people who aren’t comfortable to cope with us from the beginning on, and grow our community in the long term. Technology can be overwhelming, especially for newcomers. So many concepts to understand, tools to know about! Api guides the room through a “Bentobox” exercise to give some structure to all of those tools. Dan presents Buutti, an initiative for technology newcomers & enthusiasts to go beyond one-off events like Rails Girls, and have a way to get involved on a more frequent basis. 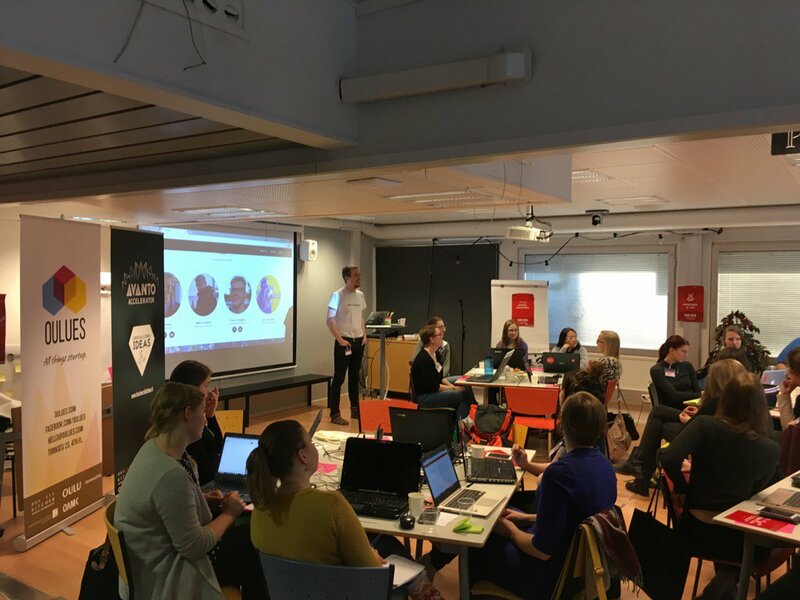 One of the reasons why I wanted to coach here is that my colleagues and I are organising Django Girls Wellington in december. What best training for this than to coach at a similar event! Not all people learn the same – adapt to each person. Basic steps like “edit code - save file - switch to browser - refresh page” are not basic for newcomers. You will be late on schedule. People will arrive late. Most likely, people will be using Windows. Sharpen your Windows skills beforehand. People will be using computers in other languages than english.